The human race is all too pre-disposed to think in terms of us and them. Europeans have always laid claim to the Ancient Greeks they are our Greeks, our ancestors but their legacy reaches further than we could ever imagine. Their influence stretches from the Japanese to the Cossacks, from Ancient Rome to Indonesia. In this path-breaking new volume, the great French historian Marcel Detienne focuses on Eurocentric approaches which have trumpeted the Greeks and their democratic practices as our ancestors and the superiority of the Western tradition to which they gave rise. He argues that such approaches can be seen as narrow-minded and often covertly nationalistic. Detienne advocates what he calls comparative anthropology which sets out to illuminate the comparisons and contrasts between the beliefs, practices and institutions of different ancient and modern societies. Detienne aims to put the Greeks in perspective among other civilisations and also to look afresh at questions of political structure, literacy, nationhood, intellect and mythology. 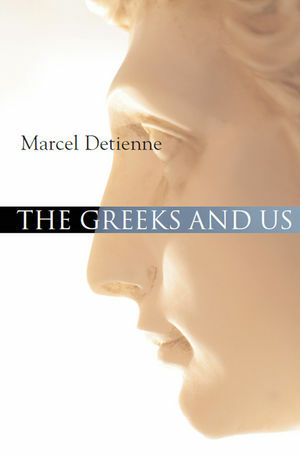 The work of Marcel Detienne has made an enormous impact on our thinking about the Greeks in areas such as rationality, literacy and mythology, and in this new volume he challenges once again our conception of the Greeks and their impact on the modern world. "Ruthlessly, wittily, almost disarmingly, Detienne sets about discovering mythical emperors in all their nakedness, slaughtering sacred nationalistic cows and dethroning alleged democratic ancestors." "Through his brilliant studies of Greek myth, religion and thought, Marcel Detienne has revolutionized our understanding of Greco-Roman antiquity. In this important new book the reader is treated to an exhilarating overview of Detienne's current thinking on the problems to which his extraordinarily fertile career has been devoted. It is a breathtaking intellectual Odyssey." Marcel Detienne is a pioneer in the field of Greek mythology and religion. This book draws upon a wealth of sources from societies ancient and modern. In the ‘The Greeks and Us’, the reader is treated to an exhilarating overview of current thinking on many of the problems to which his extraordinarily fertile scholarly career has been devoted. In his latest book, Detienne teaches us how to ‘do anthropology with the Greeks’.